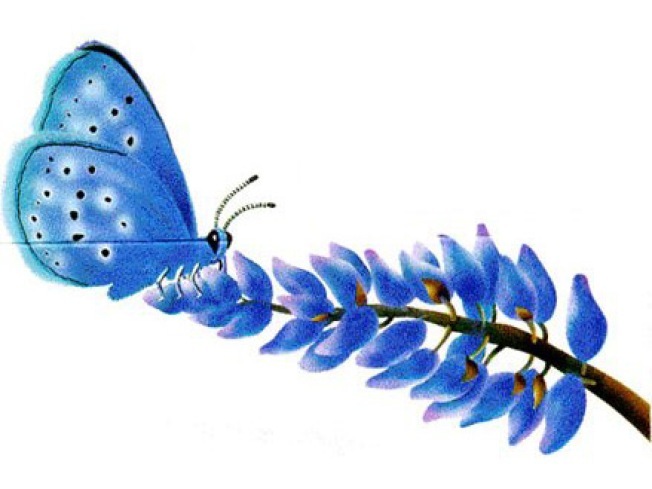 The Mission Blue Butterfly depends on native lupine to procreate. The small but striking Mission Blue Butterfly hadn't been spotted in San Francisco in years, until Thursday. Biologist Liam O'Brien spotted one on the wing a year after volunteers had carefully introduced pregnant females to Twin Peaks from San Bruno mountain which, along with the Marin Headlands, was the last stand of the native insect. Before the mothers could be re-introduced, the volunteers first had to replant Twin Peaks with the native lupine where the insects lay their eggs. The butterfly's life cycle means they'll only be flying for the next few days before laying eggs and dying. The eggs will turn into caterpillars before going dormant for the winter and won't leave their cocoons until next spring. If you want to go butterfly hunting yourself, remember: Look, but don't touch, and try not to trample the flowers. The stands of lupine were planted on the east and south slopes of the peaks, in case any backyard gardeners care to further expand the habitat. The restoration was a combined effort of Nature in the City and the Recreation and Parks department. Jackson West wonders if they should consider planting lupine in Dolores and Potrero del Sol Parks.